Here we are with another one of the emotional hitters of the year. 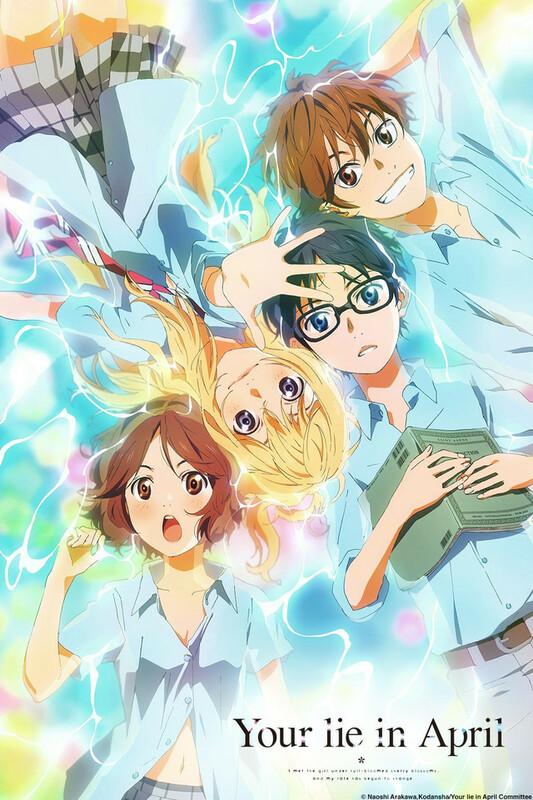 "Your Lie In April", despite NOT airing in April, is a story about adolescent youths trying to discover themselves. While that by itself is a theme that has been exploited a lot in anime, "Your Lie In April" is one of those shows that managed to do it quite well, a lot better than many other shows in recent years. 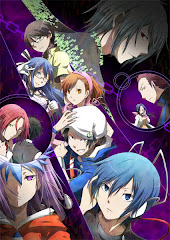 Based on a manga that finished its serialization ONLY a few months before the anime ended, it sure is an anime that I...never would want to watch UNTIL it was recommended to me. Honestly, I'm quite happy that I gave this one a shot. "Your Lie In April" hits at all the right spots, it plays around emotional moments well and at its best, its even quite intense when it needs to be. As over rated as it is, "Your Lie In April" is certainly one of the better romantic, emotional experiences that you've seen in quite a while, and there's nothing quite like the themes that this one brings. 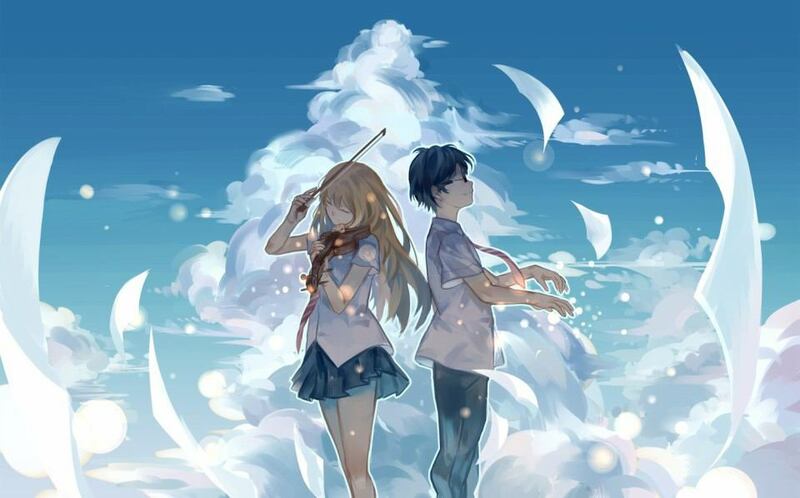 The first opening theme is "If You Will Shine" by Goose house, and being a song with a lot of piano arrangements, its obviously fitting for an anime like "Your Lie In April", which has out protagonist being a pianist and all. The 2nd opening is a little bit more different, its "Seven Colored Symphony" by Coala Mode. Its a bit more light hearted and simple, I feel that "If You Will Shine" is a better opening theme, if you ask me. The ending theme for the first half is"Sparkle" by Wacci, while the 2nd ending theme is "Orange" by 7! !, the group responsible for one of "Naruto Shipuuden"'s best opening themes. Both are fitting ending themes, but "Orange" is better for being a more upbeat song, something that I very much preferred. I was hovering over "Great" and "Instant Recommendation". 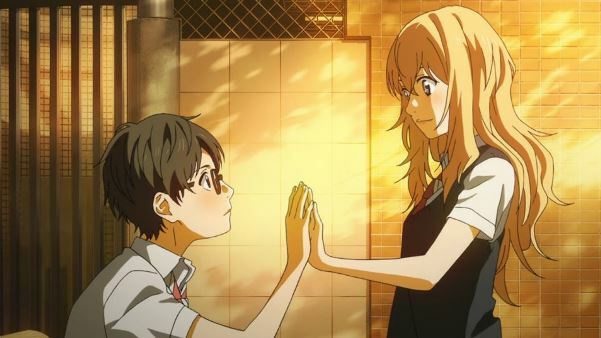 While "Your Lie In April" is superb when it needs to be, there are also many moments that made the show feel "slow". The moments where we are all interested in are fantastic, but they are, unfortunately, padded by plenty of redundant and slower moments. 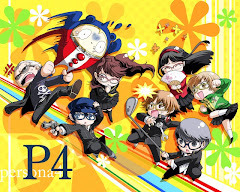 The animation style is great, the music is fantastic (something that I very rarely praise a show like this for), and the overall performance segments are bloody awesome to watch, especially when played by the main characters. The show starts off strong and ends strong, everything in between is kind of mixed...though it also tends to stand on the strong side. Kousei's backstory and the psychological issues that he faces are interesting to us viewers, and we want to see him overcome that barrier. Of course, the obvious romance banter, while is done well, isn't as good as the ones in legendary romance animes like "Toradora". The comedy falls flat, I mean, there are some good lines in there, but nothing to really make you laugh home about. If this isn't a love flag I don't know what is. The story stars Arima Kousei, a prodigy and genius pianist that was trained by his mother, Arima Saki. Arima Saki was mentored by one of the most famous pianists in the world, it was only natural that she wanted to make her son at that very same level. Because of that, Kousei trained since young, under his mother's strict methods. 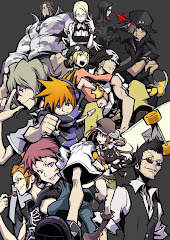 He was known as the human metronome, he won competitiona fter competition at a young age. However, after his mother passed away, he stopped playing the piano entirely, saying that he "could not hear the notes" that he played. Ever since then, he lived an empty life. Fast forward about 2 years later, now 14 years old, Kousei attends school as per any normal middle school kid. One day, one of his friends, Tsubaki, introduces him out on a group date with an unknown girl. On the day of the meet, he arrives early to see a certain blonde, beautiful girl playing with some kids. When his friends arrived, the girl introduced herself to be Kaori, and Arima knew...that it was love at first sight. That girl is a violinist, and she was about to turn Kousei's world upside down.